Recipe adapted from Joy of Baking. Separate the eggs and place the whites in one bowl and the yolks in another. Cover with plastic wrap and bring them to room temperature. Preheat the oven to 325˚F (170˚C) and have ready 10 inch (25 cm) two piece tube pan. (ungreased). In the bowl of your electric mixer, fitted with the paddle attachment, place the flour, sugar (minus 3Tbsp), baking powder, and salt. Beat until combined. Make a well in the center of the flour mixture and add the egg yolks, oil, orange juice, orange zest , and vanilla extract. Beat about one minute or until smooth. In a separate bowl, with the whisk attachment, beat the egg whites until foamy. Add the cream of tartar and continue to beat until soft peaks form. Gradually beat in the remaining 3Tbsp of sugar and until stiff peaks form. With a large rubber spatula or wire whisk, gently fold the egg whites into the batter just until blended (being careful not to deflate the batter). 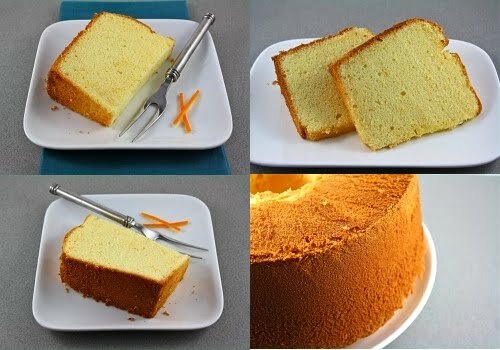 To remove the cake from the pan, run a long metal spatula around the inside of the tube pan and center core. Invert onto a greased wire rack. Can store in an airtight container for a few days at room temperature or for about a week in the refrigerator. 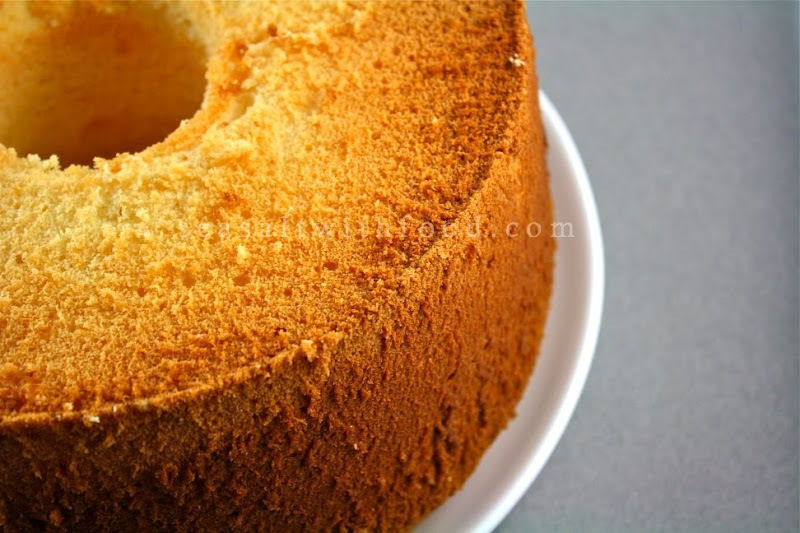 This cake can also be frozen for a couple of months. 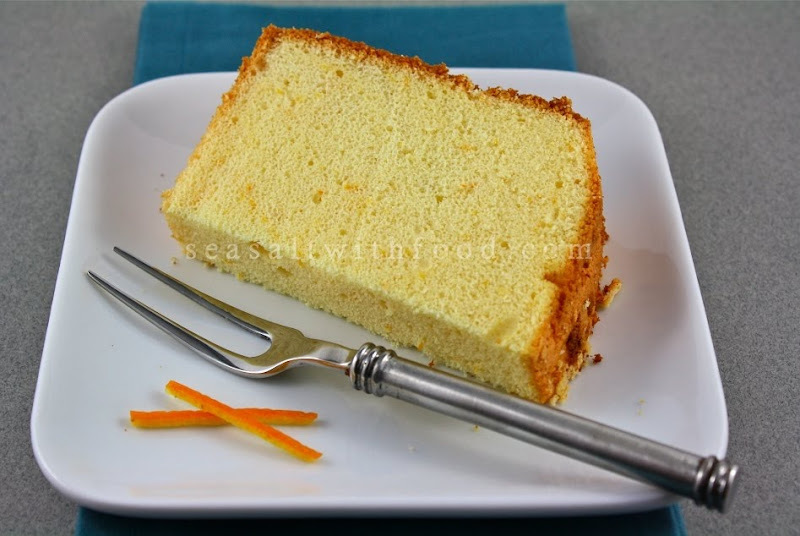 It looks so yummy, soft and I do like a citrus flavoured chiffon. Delicious and I love the first photo best of all. Hi, I just made this cake today! It was so fluffy, light and perfect. Even though this blog post is a bit old, I just wanted to let people know it's a fantastic recipe! Please try it out!